Both CO2 and H2O can be automatically controlled inside the chamber. They can be controlled at single concentrations or automatically at sequential levels. 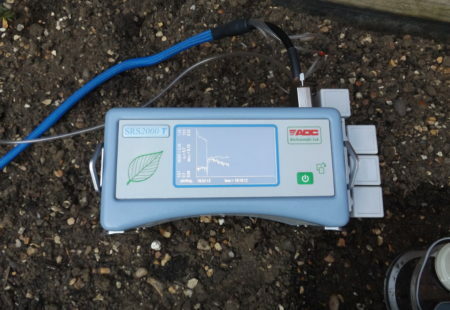 This allows soil flux to be determined at different CO2 concentrations, whilst the ability to dry air within the chamber prevents condensation occurring when working with soils of high moisture content. The standard 0-3000ppm CO2 range is suitable for working with soils with extremely high levels of CO2 flux. The SRS2000 T is designed so that no unwanted influences affect data. 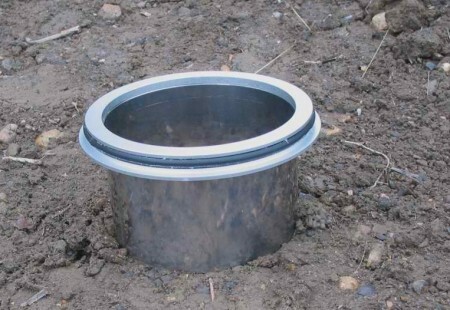 Pressure variations in some chamber designs can lead to an artificial suppressing or enhancing of CO2 flux from the soil. The incorporation of a novel pressure release valve ensures that there is no difference in pressure between the chamber head space and the outside ambient atmosphere. The instrument is also insensitive to wind. There is no change in measured data when air flows over the chamber at varying speeds and in different directions. 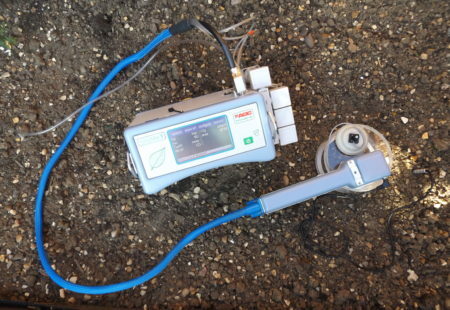 The analyser is built into the CO2 chamber, enabling the fastest measurement responses of gas exchanges from the soil.